The evening of 14th September found a group of YTI members and their significant others gathered in the cosy back room of York Brewery’s taproom. There was much enthusiasm about the beer on offer in the bar, where the atmosphere was warm and friendly. This was no ordinary social however: anticipation was in the air. Having split into teams, the attendees were all chomping at the bit to test their mettle against quiz mistress Catherine Greensmith’s notoriously tricky questions. With a sumptuous range of delicious looking prizes laid out on the table in plain view, there was naturally some friendly rivalry. The quiz started with the signature tasting round, an unusual but very welcome addition for those of us experienced in the ways of the average pub quiz. This year the teams had to identify four different types of tea and four bowls of cereal by taste. While most teams had a good stab at the cereals, generally managing to work out the type of cereal or the company that made it, the Yorkshire Tea Biscuit Brew had everyone stumped! It also turns out that not many people know what liquorice tea tastes like either. Luckily for my team, The Doctors, your author drinks Earl Grey by the bucket load and was able to identify it by smell at 10 paces. That combined with the intellectual might of my team mates meant we finished the first half of the quiz in the lead and determined to hold onto top spot. The halfway point was marked with a break from the fiendish questions to enjoy hot pies and mushy peas, with a steak pie or a veggie option on offer, generally accompanied by another pint of the brewery’s finest. The hot food seemed to hit the spot, and we entered the second half of the quiz full of enthusiasm. The questions were varied, touching on international sport, history and geography to name but a few, and pitched perfectly to keep us racking our brains. At the final tally, The Doctors saw off the fierce competition and retained our lead, getting first dibs on the prizes as the reward. It was a thoroughly enjoyable evening, and everyone stayed after the quiz had finished for a good natter. It was a lovely opportunity to catch up with new and old members alike, and I would like to thank Catherine for all her hard work putting such an excellent quiz together and for keeping order in the ranks on the night, and Kerry for organising the evening. I’m looking forward to next year’s quiz already! On a hot and sunny Saturday afternoon in early June, a small group headed to Sheffield Doc Fest to attend the world premiere of a documentary by German film maker, Florian Heinzen-Ziob. “German Class” focusses on the teacher and pupils of a special class at Cologne’s Henry Ford secondary school. The preparation class, or “VK” is the first port of call for children who have arrived in Germany, integrating them into the German school system. The pupils come from a variety of backgrounds and countries. Some stay in the class only a few months; others remain far longer. The teacher, Ute Vecchio works individually with each pupil as much as possible. The film was shot in black and white to help viewers focus on the pupils, teacher and their stories rather than be distracted by the busy visuals of a typical classroom, with all its brightly coloured décor, books and furniture. The energy, persistence and humour shown by the teacher and the main protagonists is therefore to the fore and made for an excellent documentary on the topical subject of immigration. At the end of the film there was a chance to ask questions of the director in person before heading back out into the heat of early evening. 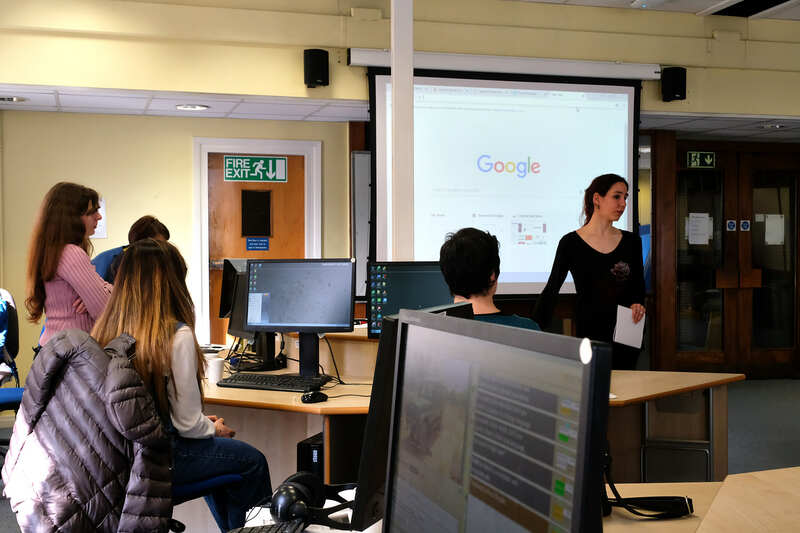 On one of the first warm and sunny days of the year, a dedicated group of YTI members and students headed to a computer suite at the University of Leeds to learn all about the mysterious art of subtitling. Given the discussions that took place before the training started, it seems I wasn’t the only translator who made a regular habit of picking holes in the subtitles on my foreign language shows and films of choice. What I learned on this very informative course would give me a whole new perspective on the issue however, and a very healthy respect for the professionals who toil over this tricky task. Read on to find out why. Leading the workshop was Alina Secara, Director of Translation Studies at the University of Leeds, very ably assisted by Faustine Roux, a professional subtitler. After introducing themselves and giving us a rundown of their respective (extensive) experience in the subtitling industry, Alina proceeded to dive straight in with an in-depth explanation of the different types of subtitling a professional subtitler might encounter. The first type is intralingual pre-recorded subtitles, which are produced for the benefit of the deaf and hard-of-hearing community and for the purposes of language learning. As well as subtitling the words of the speakers, this kind of subtitling also provides a description of sounds and accents and non-verbal information. The interesting example of action films was discussed, where there is little dialogue to subtitle but instead the challenge of a huge number of sound effects to convey through the medium of text! In addition, Alina and Faustine discussed intralingual live subtitles, also intended for the deaf and hard-of-hearing community and used for the news and live events, and finally interlingual subtitles, the kind that we linguists are most used to seeing. The main challenges entailed in all three types of subtitles included a lack of time and space for the subtitle, meaning that the translation must by necessity be condensed, constraints related to the time it takes the viewer to comfortably read the subtitle and how best to deal with line breaks. Next we were taken through the main concepts of subtitling, including reading speeds, timecodes, scene and shot changes and templates – all highly technical – and the challenges that these all pose. Challenges such as having to fit the subtitles around shots and camera angles, prioritizing certain aspects, unfinished sentences and deciding how to deal with swear words. And then once you have juggled all these constraints, you still have to make sure you can fit it all on the screen in a readable format, deciding how best to split the text between two lines. It is unsurprising in the light of all this that the end result is very different to what a translator might produce when given the written script and no word limit. After all, the purpose of subtitling is very different. 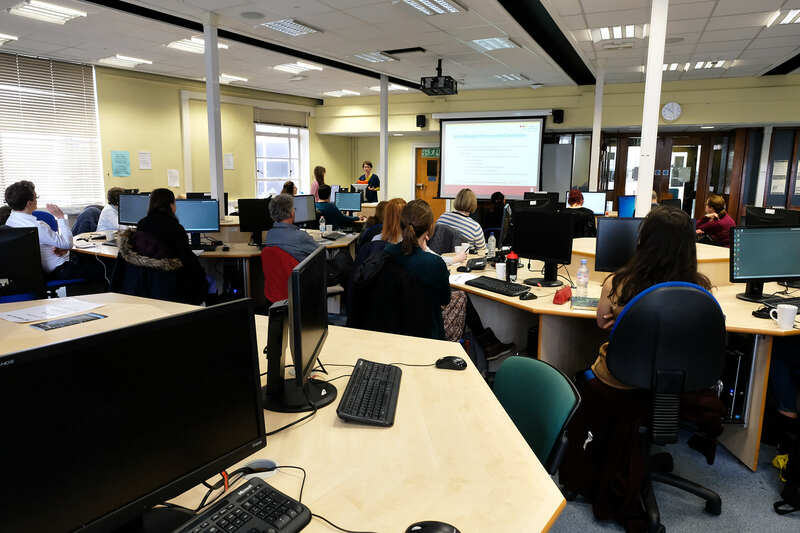 Bursting with enthusiasm, we were later given the chance to get some practical experience with WinCAPS, the subtitling software that Alina teaches at the University of Leeds. She was at pains to make clear however that it is just one of the many on the market, and that it is up to the individual subtitler to discover which software suits them best. An English-language video from Médecins Sans Frontières was provided for us to practice on, along with comprehensive instructions and plentiful assistance from the two experts. It was such an absorbing task that most attendees even worked through the final afternoon coffee break – something unheard of when a group of translators and interpreters get together! I am certain that everyone found the workshop as informative and interesting as I did, and I would like to express my gratitude to Alina and Faustine for running such an excellent event, and to Raquel for organising. I came away with an enormous amount of respect for the work that subtitlers do, and a real appreciation of the challenges they face. Never again will I criticise professional subtitles in so offhand a manner! The setting: a bustling Italian restaurant decked with large, atmospheric artwork prints and a penchant for purple. The wines: an eclectic mix of flavours and strengths. The menu: full-flavoured and filling. The company: of the best sort. Our evening of Italian wine tasting at Sasso Enoteca Italiano in central Harrogate was a convivial and popular one. The sommelier began by pouring us all a measure of NV Prosecco Brut, an International Wine Challenge bronze medal winner, and, aware that he was addressing a group of professional translators, proceeded to apologise for his attempt at Italian pronunciation. Very light on the taste buds, this wine had a “fresh green apple nose” and served as a gentle introduction, prompting the conversation to flow with alacrity. The Due Uve Bianco Pinot Grigio-Sauvignon IGT – as per its name a blend of two grape varieties – and the Pecorino Pasetti followed next, paired with a starter of smoked salmon terrine, marinated beetroot and horseradish crème fraîche – or asparagus with poached egg for the vegetarians. Both whites proved popular when it came to selecting a full glass to accompany the main course (pollo con salsa di funghi, zafferano e spinaci – chicken breast in a wild mushroom and saffron sauce with spinach). Lo Sbrancato Rose Il Poggione, my personal favourite from the tasting, was a fresh-flavoured rosé that also contrasted well with the richness of the main. The rosé was followed by the only red on the tasting list – Syrah Mandrarossa – with its delicious and, according to the enthusiastic menu writer, “heady perfume of hedgerow fruit and peppery spice”. Definitely a wine to sit and ruminate with. We all enjoyed comparing the different wines and discussing their finer points over the course of the evening, whatever our level of knowledge of oenology. Some finished with dessert while others enjoyed sipping their wine; and those of us who needed to catch trains reluctantly did so. Another interesting and enjoyable social – thank you to Charlotte for organising! YTI’s April outing to watch Tango Moderno at Leeds Grand was an entirely exclusive affair. And by exclusive, I mean we were few in number. We made up for our limited numbers however with unbounded enthusiasm for a Tuesday-night tipple in the fabulous theatre bar beforehand, and of course for the spectacle of dance, music and song that awaited us. The stars of the show were the erstwhile Strictly Come Dancing favourites, Vincent Simone and Flavia Cacace, although it also featured a pair of excellent West End singers, and a troupe of very talented contemporary dancers. Billed as a ‘tango for today’, the show featured the troupe telling modern tales (including Tinder romances, millennials glued to smartphones and a strange suburban scene featuring some outdated gender stereotypes) through the medium of contemporary dance, with some tango moves thrown in for good luck. They were watched over by their fairy godparents – enter Vincent and Flavia – magically matchmaking through the power of traditional tango. The compere, the male singer, introduced the various tales through poetry, also singing a diverse mix of chart hits and power ballads alongside his female counterpart. While entertaining, for me the overall effect of these different elements was rather eclectic. The show’s interpretation of the issues of modern life also felt rather reductive. The highlights of the evening were undoubtedly the moments when Vincent and Flavia took to the stage alone to perform the passionate, dramatic tango that viewers love them for. Considering the rapturous applause with which each of the pair’s appearances was met, it seemed as if the audience would have liked a little more sophisticated tango, and a little less modern interpretation! On 10th March a handful of fellow YTI members attended a performance of Anton Chekhov’s poignant comedy ‘Uncle Vanya’ at York Theatre Royal. ‘Uncle Vanya’ is in essence a comedy tainted by an underlying sense of tragedy. Uncle Vanya himself for example is a forlorn character, ridden with guilt over his own failures in life. But so too are the other characters, frequently enveloped by a sense of acute ennui and exhaustion. I have never actually seen a Russian play before but I was pleasantly surprised. The acting was brilliant and I think I can speak for everyone when I say that we were all enthralled by the plot. On Saturday 18 November, the YTI and NERG members gathered at the Quaker Meeting House in York to get to grips with the world of legal translation. Some arrived early to catch up with fellow linguists over lunch and a cup of tea. With these pointers in mind, we then split off into our language groups to get some hands-on experience translating the somewhat intimidating texts. Sophie joined the French-English group who picked out problematic sections of the documents provided. Emma worked alongside the Spanish-English translators, focusing primarily on specific terminology and the expectations of the target culture. After some insightful discussions, all language groups reconvened to share how they approached the task at hand. For example, the Italian translators proofread and assessed the quality of an official translation of their text; the German-English and English-German translators joined forces to compare notes. Whilst the overall feedback showed how different the approaches were, everyone had the same response: they all thoroughly enjoyed and benefited from the afternoon. We wonder what the workshop will cover next year… Watch this space.